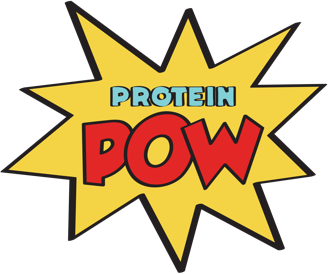 Photos from last Sunday’s Protein Pow Workshop are now live! Check them out here. It was the first workshop of 2015 (and the first one I’ve run since Baby was born!) We made a ton of treats using Pulsin’s unflavored (and unsweetened) protein powders – from protein bars and chocolates to cakes and protein pizzas. It was an action-packed day full of dark chocolate, all kinds of nut and seed butters, gluten-free flours, veggies, etc! Since our powders were all unflavored, we also got to play around with a bunch of different sweeteners like honey, agave, stevia leaf, stevia powder, granulated sucralose, liquid sucralose, ‘brown sugar’ sukrin, coconut sugar, and icing erythritol. This was a lot of fun as it allowed us to get to know all the different sweeteners and see how they all act – and react – in our cooking. At the end of the workshop, everyone walked away with a goodie bag containing Pulsin bars, Sukrin‘s sugar free chocolate, Two Chicks egg white ‘chirps,’ Doisy & Dam‘s superfood chocolate, Co Yo‘s coconut yogurt, Rebel kitchen coconut ‘mylks,’ and a copy of the now-out-of-print first Protein Pow cookbook. It was a lot of fun and a huge pleasure to meet so many of you guys and cook so much deliciousness with you! The next London workshop is in May and there’s only 3 tickets left so grab them soon if you want to join us.